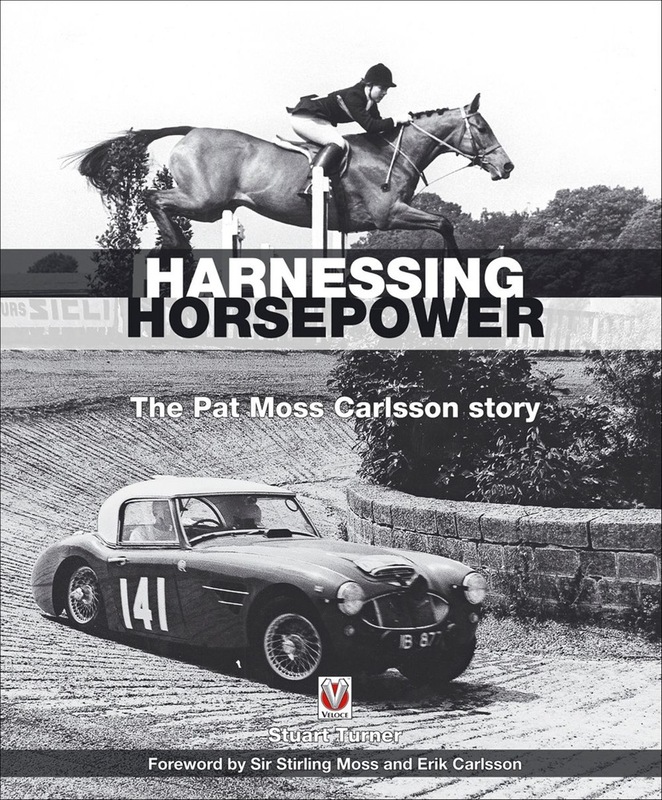 The book covers the life of one of the greatest women rally drivers of all time, Pat Moss Carlsson. Pat had a highly successful show-jumping career before moving into motorsport, going on to become European Ladies Rally Champion no fewer than five times. In 1960, with her co-driver Ann Wisdom, she won the Liege, the toughest rally of all, a win as iconic in motorsport terms as her brother Stirling’s famous one on the Mille Miglia.Stuart Turner is uniquely qualified to write about Pat because he not only navigated for her on British rallies they took the first win by a Mini together but was then her team manager at BMC.Pat later moved from BMC to Ford before having a successful rally programme with Saab, competing in the same team as her husband, Erik Carlsson. She also drove Renault Alpine, Lancia and Toyota rally cars before retiring in 1974, going on to help her daughter Suzy with her show-jumping career. Pat never lost her zest for life, and was once even stopped for speeding ... while towing a horse box.Featuring 150 evocative pictures, this is an intimate and unique account of one of motorsport’s most formidable women. Acquista Harnessing Horsepower in Epub: dopo aver letto l’ebook Harnessing Horsepower di Stuart Turner ti invitiamo a lasciarci una Recensione qui sotto: sarà utile agli utenti che non abbiano ancora letto questo libro e che vogliano avere delle opinioni altrui. L’opinione su di un libro è molto soggettiva e per questo leggere eventuali recensioni negative non ci dovrà frenare dall’acquisto, anzi dovrà spingerci ad acquistare il libro in fretta per poter dire la nostra ed eventualmente smentire quanto commentato da altri, contribuendo ad arricchire più possibile i commenti e dare sempre più spunti di confronto al pubblico online.